Announcing the ubiquitous nature of on demand video streaming is like announcing the Pope is Catholic. It should be common knowledge by now. So this latest move by NBC Universal isn’t the biggest news story of the year. However, this should give us a solid indication that NBC Universal is in the game for good. The Sony PlayStation Network has teamed with NBC Universal to allow renting and purchasing of movies and television programs for playback on the Sony PlayStation 3 and PSP portable device. Video can be transported from the PS3 to the PSP in standard-definition. 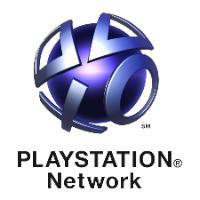 The PlayStation Network now claims 1,300 movies and 4,500 TV programs in both high-def and standard-def. There is no subscription fee, but titles are either rented or purchased (starting at $1.99 and $9.99 respectively). You must own a PlayStation 3 or PSP to access the service.